I am not a doctor and I don’t play one on the internet. As a disclaimer, please consult your doctor before starting any diet or exercise plan. Can I do this fast for longer than 4 days? Yes, I have friends that have been full on carnivore eating for a couple of years with no issues what so ever. Can I have another protein other than ground beef? 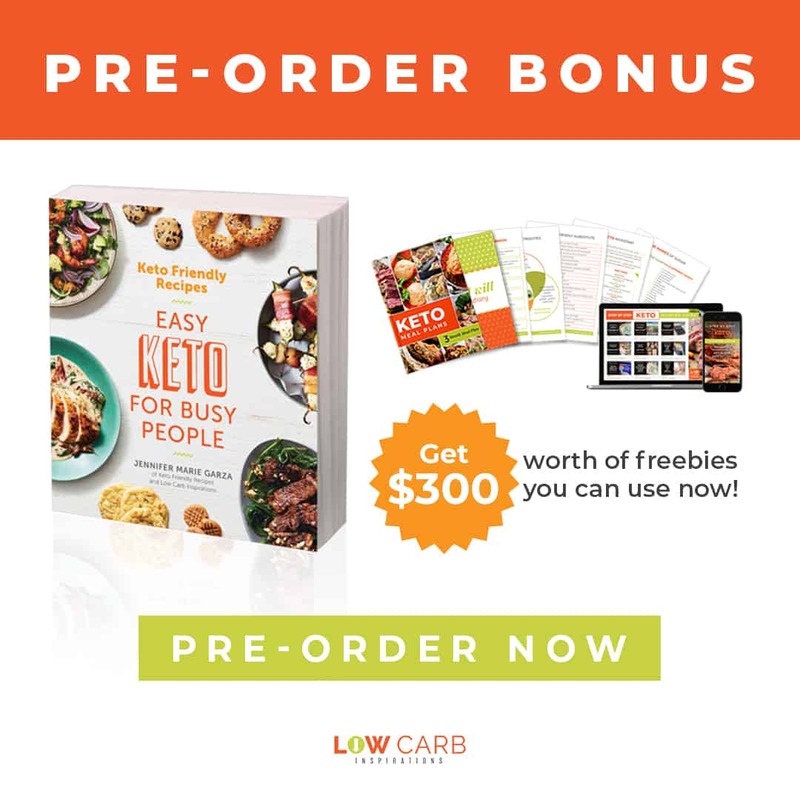 Yes, the goal of this fast is to take your keto diet plan down to proteins and healthy fats with very little carbs. We have created a Beef and Butter Fast Substitutions list to help you! This list will give different protein and healthy fat options. It will also give you different ways to season your proteins too! How did you think to come up with the Beef and Butter Fast and how many people has this helped? I did my very first Beef and Butter Fast Experiment more than a year ago. I vividly remember I was trying to figure out How to Break a Weight Loss Stall on the Ketogenic Diet. I remember how frustrated I was. I remember eating all the right foods on the list but the scale wasn’t moving. I remember feeling overwhelmed and defeated at the same time. 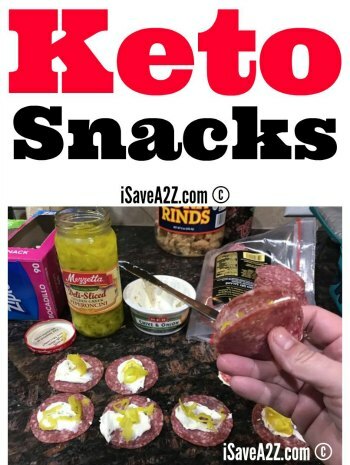 Once I figured out what was stalling my process, my Keto way of life became much easier! I receive emails every day of people who have been helped by this technique. I stopped counting. I am so grateful to be able to share knowledge that I figured out along my own weight loss journey. Will I gain all the weight I lose back after I stop the Beef and Butter Fast? I don’t know how your body will react but I can tell you what happened to me after the Beef and Butter Fast. I journaled my food before and after the fast by using this Keto Inspirational Journal. I did continue to lose weight a few days after the diet. My stall had ended! Once I started journaling my food, water, and stress levels, it was very easy to see how these different things affected my weight loss efforts. Even though I was eating Keto friendly food options, there are just some things my body didn’t agree with. If I consume too much dairy, this will cause a stall for me. If I consume too many of those Keto friendly dessert options (even approved choices) my body will stall. The only way I am able to figure out which foods stall me was to keep a journal of all of my food choices. I highly suggest journaling your experience so you can figure out how your body reacts to different foods while you are on your own weight loss journey. Not only is it helpful but it’s a heck of a lot of fun to see how far you’ve come after you hit your goals too! You can download this Beef and Butter Fast Meal Plan here. You can find the Beef and Butter Fast Recipes here. How Much Butter Should I Consume? 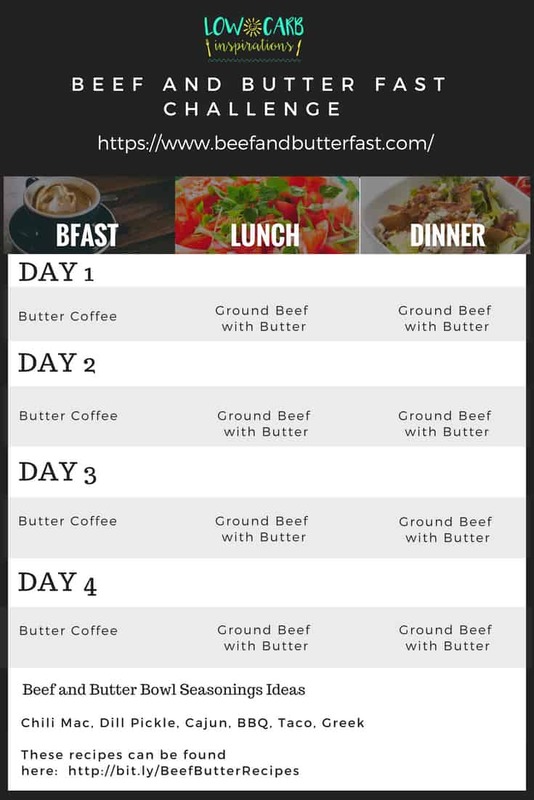 Try the Beef and Butter Fast 5 Day Challenge! 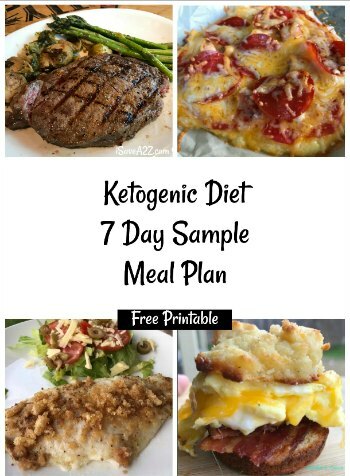 By Jennifer on July 12, 2018 Beef and Butter Fast, Keto Friendly Recipes, Keto Meal Plans, Ketogenic Diet. What if i get hungry for a snack. Is there anything i can eat? I may have missed this but what is the recipe for the butter coffee? 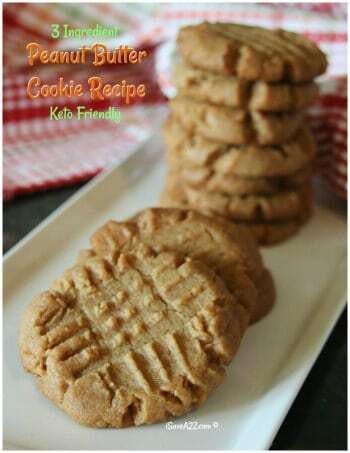 Coffee with one tablespoon butter and I also add one tablespoon coconut oil. My wife and I mix two tablespoons of butter with a cup of coffee in a blender and voila, butter coffee.